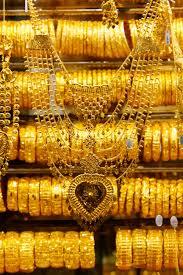 Jewellers , Builders and Hospitals have to be more cautious while accepting cash. From 1st April cash transactions must be done very cautiously. Gifts etc. amounting to more than Rs 2 Lakhs received in cash may attract penalty. This will affect Jewellers, Hospitals, builders, persons who carry business in cash. Further cash purchases or expenses above Rs 10,000 may be levied a penalty, earlier the limit was Rs. 20000. Transactions must be done through banks only . Cash sale in excess of Rs 2 lacs is to be avoided. From 1st April 2017, for accepting cash more than Rs 2 lacs is an offence under IT Act. On cash transactions if cash accepted of Rs. 2 Lakh or more then there is 100% penalty on it to acceptor. v To a single person or on one day or through one transaction if Rs. 2 Lakh or more is accepted in cash then there is penalty. v It means following four rules must be considered: (1) Rs. 2 Lakh or more (2) one person (3) One day (4) one transaction must be followed. One seller is not permitted to receive more than Rs. 2 Lakh in cash which connotes that one seller cannot accept in excess of Rs 2 lakhs in cash from any one buyer. For instance: If X Sell products for Rs 1 lakh and supplies bill no. x to Y customer and on the same day gives another bill no. m amounting to Rs. 1.5 lakhs, total amount equal to Rs. 2.5 Lakh and for such transactions seller may be levied with a penalty of 100% as he has received more than Rs 2 lacs in cash in a day. One transaction means if the amount on the bill goes in excess of Rs 2 Lakhs and even if such amount is received through cheque or online transfer and partly in cash then also such transactions may be liable to attract penalty. For Ex. : X seller makes a credit sale of Rs. 2.5 Lakhs to Customer B on 20th April and on 22nd April the customer A pays Rs. 2.25 Lakh through Cheque and Rs. 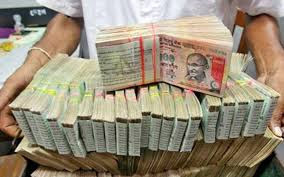 25,000 in cash still in such transaction seller X may be liable for penalty because the transaction has gone beyond Rs. 2 Lakhs.